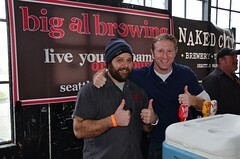 Congrats to WABL and all the Washington brewers for another successful Belgianfest! 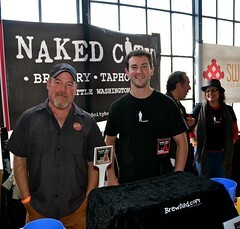 Despite being crowded and loud, which is to be expected at any beer festival, I didn’t see any long lines for beer or restrooms and the beer was top-notch. I tried everything from the cask of super-aromatic and hoppy Issaquah Menage-a-Frog to the slightly overcarbonated (they’re still dialing in their bottle-conditioning) and extremely rich Georgetown Braggot. The sours were also amazing, but my favorite was the Naked City Gilda which was sour (but not too sour) with some nice wine and wood character from aging in Merlot barrels. The best in show for me, however, was the cask of La Petite Mort from Black Raven, a strong Abbey brown ale featuring rum-soaked oak chips, black mission figs, porcini mushrooms and cocoa nibs. It may sound like a kitchen sink beer, but somehow all those ingredients came together to create a super smooth and complex beer. 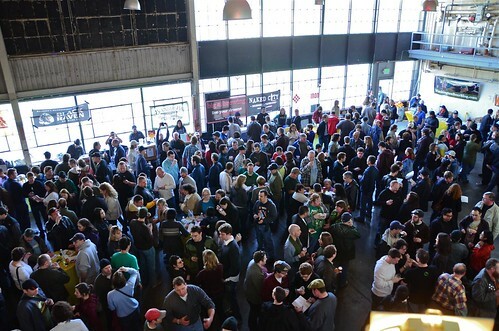 There was really something for everyone at Belgianfest — hoppy Belgian IPA hybrids, dry and spicy wit beers, funky farmhouse ales, tart sours and high octane Abbey style beers. It is a great addition to the WABL beer fest calendar, and I am already looking forward to next year.